It’s hard to know when modern stand up paddling really began. To do so, you’d have to define exactly what it is and confine it to a certain style or arena. But stand up has become such a diverse and vibrant sport it defies strict definition, leaving its early roots as elusive as its modern surge into popularity. Even now only two things seem constant: we stand while paddling a surﬁng-style craft and we use a long paddle to propel the craft forwards. It seems that stand up paddling in some form or another has been around for thousands of years. Ancient cultures from Africa to South America used boards, canoes, and other watercraft propelled with a long stick to fish, travel, make war, and even ride waves. Warriors in parts of Africa stood up in dugout canoes and used their spears as paddles to move silently into enemy territory. For nearly 3,000 years, Peruvian ﬁsherman used a craft called a “Caballitos de Totora”, a small craft made of reeds that is so called because its instability made it like riding a horse. They used a long bamboo shaft somewhat like an elongated kayak paddle, and after a day’s fishing they would surf the waves in just for fun. In fact, its quite possible that this is the true roots of all surfing, let alone stand up surfing. While stand up paddling may have developed in various places around the world, the modern surfing tradition has undeniable Polynesian ancestry. In 1778, Captain James Cook sailed into the Hawaiian Islands and became the first European to witness the Hawaiian people surfing. He’e nalu, as it is called in the native Hawaiian tongue, was done either in canoes or on special, ritually carved boards from the Koa tree. The village chief got the biggest board, sometimes as big as 5m long, while lesser village personages had smaller 2 or 3-meter boards. Because of the sheer size of the boards, a paddle was often used to power out and onto the waves. 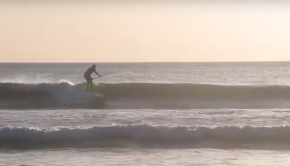 Modern stand up paddle surfing has its own Hawaiian roots as well. In the 1940s, surf instructors in Waikiki like Duke Kahanamoku and Leroy and Bobby AhChoy would take paddles and stand on their boards to get a better view of the surfers in the water and incoming swells, and from time to time they would surf the waves in themselves using the paddle to steer the board. Injured in a car accident that restricted him from swimming or kneeling, Bobby would stand up, cigarettes lashed to his arm, camera about his neck, and paddle into the surf zone shouting hints to others. His brother Leroy and father John would also stand up from time to time. And so Beach Boy Surfing was born. In 1980 James Davis, a British surfer who made a living as a travel photographer, was in Hawaii taking some shots and caught this guy stand up paddle surfing, with a builder’s hat on his head, knee pads and all. The attire is a little strange, but he was definitely stand up surfing. This is one of the only photos of John “Pops” AhChoy. The AhChoy’s in turn introduced their pastime to John Zapotocky, who could certainly be considered the father of modern stand up surfing. John first went to Hawaii in 1940, and instantly fell in love with the ocean. He made his life there from that day on and after seeing Duke Kahanamoku and the other Beach boys like the AhChoy brothers on stand-up boards, he took to it and has been surfing with a paddle ever since. All through those old days he was a regular athlete, including swimming, diving, paddleboard and canoe racing. He became such an icon amongst the beach boys that they gave him the nickname of ‘’Pearl Diver’’. John is the oldest SUP surfer in the world, and the oldest regular surfer in Waikiki. John still goes out stand up surﬁng in Waikiki a few times a week, and is an icon to the modern-day surfers and watermen. He keeps his board in one of the racks on the beach in Waikiki where he has for 60 years. With the help of younger surfers who carry his board down to the water, he paddles out today as he always has, quite at home in the waves. However, other modern roots of stand up paddling date back before these inventive and playful surfers from Hawaii. In Tel Aviv, lifeguards have been using a stand up board called a Hassakeh since the first decades of the 20th century, an idea they borrowed from fishermen that dates back hundreds of years. With a board almost 5 feet wide and using a double bladed paddle, the lifeguard can paddle quickly out to a distressed person and haul them on board, while the standing position gives them full view the entire time. While the boards were not designed for it, the lifeguards did sometimes surf the waves in while practicing rescue techniques. Dating back farther still, in 1886 photographer Peter Henry Emerson captured a photo of a man stand up paddling through the marshes of East Anglia in the UK. The photo is called “Quanting the Marsh Hay.” It is possible that this is the first photographic record of stand up paddling. A more recent photographic landmark occurred when Dave Kalama decided to grab a paddle to play with while shooting for Oxbow on huge longboards just a decade ago, One of the events that sparked the rapid rise in exposure and popularity of modern stand up. Through surfing’s post-Gidgit boom of the 1960s and then again in the 1980s, surfing with a paddle was all but ignored and unknown. Dave’s first foray with a paddle that lazy afternoon was followed shortly by Brian Keaulana, Rick Thomas, Archie Kalepa and Laird Hamilton who started SUP as an alternative way to train while the surf was down. 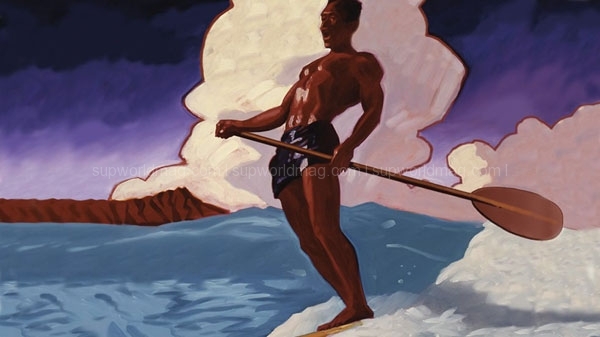 As the years went on they found themselves entering events such as the Moloka’i to O’ahu Paddleboard Race, inspired by the 1st solo crossing by Waterman Archie Kalepa and Makaha’s Big Board Surﬁng Classic. With its growing popularity at Makaha beach, Brian Keaulana decided to add ‘’Beach Boy Surfing’’ to the world-recognized ‘’Buffalo Big Board Contest’’ in 2003. The response was overwhelming, with over 49 participants entering the Stand-up division, which included many of Hawaii’s elite watermen and past world champion surfers. A photo of Laird Hamilton was snatched up by the surfing media and in a matter of months the first stand up boom had begun. That being said, two Brazilian surfers Osmar Goncalves and Joao Roberto Hafers might well have been stand up surfing before the Hawaiians had their photos plastered in surfing magazines. Riding a board called a Tabua Havaiana (Hawaiian plank) shaped by Julio Putz, these two excitable surfers were definitely pioneers. They were just not in the right place at the right time to get photos of their exploits published where they would be seen by an eager population dying for a new aspect to surfing. Another radical surfer turned wave ski surfer, Fletcher Burton from California, could also be credited as being a pioneer in the advent of modern stand up surfing. Paddling onto waves back in the early 1990s, with his kayak paddle seated on the wave ski, he would jump to his feet once on the wave, and surf the wave the way advanced stand up surfers do today. However, the negative stigma attached to seated surfers (Goat Boater) meant that no surfer was likely to take note of his style and ability to ride different kinds of waves once up and going. Had he been taken seriously, stand up surfing might well be 10 years ahead of where it is now. 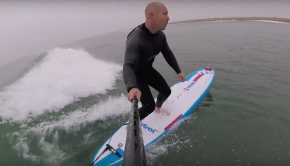 In spite of the presence of innovative surfers and paddlers elsewhere, the modern version of stand up remained a Hawaiian thing until Vietnam veteran, Rick Thomas, brought one back to California in 2004. It caught on instantly. You could argue that from his influence SUP has spread all over the world. Bob Long from Mission Surf has suggested that there are 6 degrees of separation between anyone in California who has learned to stand up paddle and Rick Thomas. Stand up paddling was a much-needed breath of fresh air into an industry that was stuck in its glory days of the 1960s. Stolid, stale, and elitist, surfing had become a highly commercialized multi-million dollar machine where everyone from Kansas to California was wearing surf clothing, speaking surf talk, but not welcome into the surf line-up. “Locals” shun anyone not born within a 5-mile radius of a given break, and beginners (being as beginners are in any sport) were branded “kooks” and equally driven out from the beaches. In contrast, stand up surfing offered instant appeal and accessibility to all kinds of surfers. 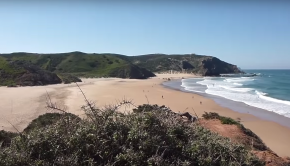 It allowed them to paddle to far away and little known breaks that were uncrowded, and it increased the number of waves a surfer could have in a session and the range of conditions that could be surfed. In fact, very quickly stand up paddlers realized that the “surf” could be taken out of it, and recreational and racing SUP were discovered as sports unto themselves. 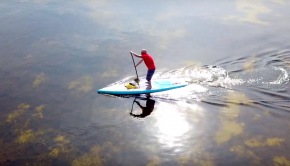 All across the USA, and now in Europe and Australia, landlocked people have started using stand up boards as a replacement option to the canoe or kayak. Providing a great core workout, as well as increased visibility both above and into the water, stand up paddling as a recreational craft has now etched its place into surfing lore, and by 2009 it was the single fastest growing part of paddlesports in North America. As a true indication that stand up paddling has “arrived”, in 2008 the US Coast Guard classified SUP boards as vessels like canoes and kayaks; as a result SUP riders are obliged to wear a personal flotation device when paddling in certain areas outside of the surf zone. Drawing on roots that are thousands of years old, stand up seems here to stay in the world of modern paddlesports.